On the road in the sweltering Singaporean heat, a car is supposed to provide cool respite for its passengers. Yet I find myself sweating profusely in the driver’s seat of a BlueSG electric car, which is both ridiculous and mind-boggling. This is my second attempt with the electric car-sharing programme, and once again the car’s air conditioning feels like a hamster is blowing through a straw – the wind is weak, and to my astonishment, warm. The on-board GPS navigation system that is supposed to guide me to the charging station to return the car isn’t working either, and I’m forced to rely on Google Maps on my phone. By the time I arrive at my destination, my pits are soaked and I still have to undergo a 10-minute ordeal of walking from the designated lot back to the office in the hot sun. On paper, BlueSG sounds like a wonderful environmentally friendly initiative. Electric cars, coupled with the concept of ride-sharing similar to oBikes, could significantly reduce carbon emissions typically released by fuel-powered vehicles, thus lowering the impact of global warming. A fleet of electric cars shuttling Singaporeans around the island sounds like a scene from futuristic movies such as Blade Runner or The Jetsons. But while BlueSG tries to accelerate that vision to reality, unfortunately the future still isn’t here. The charging locations, where its cars must be parked upon completion of a trip, are few and far between. If there’s no parking lot available at your destination, then there’s no point renting the car in the first place. With rental rates as high as 50 cents per minute (33 cents if you subscribe for the yearly membership) with a minimum rental period of 15 minutes, it’s often cheaper to just get an Uber. In fact, for my 34-minute commute to the office, it cost me $1 more to drive a BlueSG car than if I had taken an Uber, even without a promo code. Furthermore, I would have alighted right at my doorstep in dry clothes. 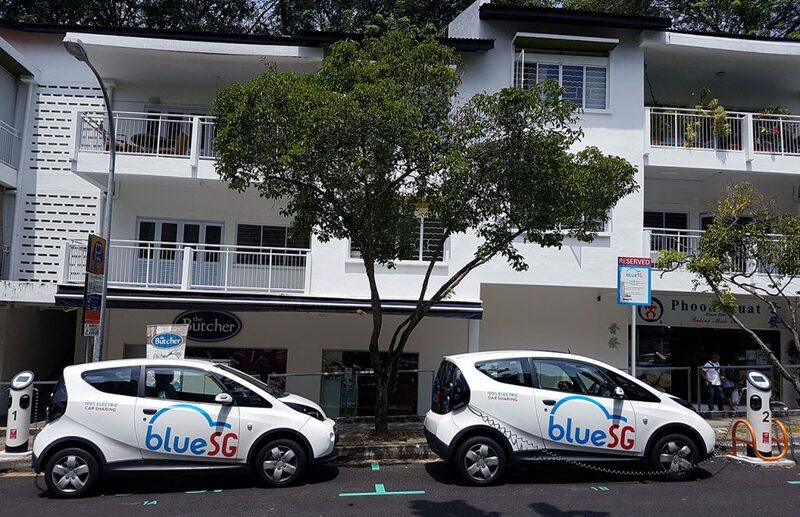 Granted, BlueSG’s electric car-sharing service could become a more viable commuting option when the company expands its fleet and number of charging stations. It plans to own 1000 cars and 500 charging locations offering 2000 charging points by 2020, which would make the company the second-largest electric car-sharing programme in the world. But all these numbers would be for naught if the air conditioning in the car still doesn’t work. BlueSG did not respond to my queries, but to be fair, the car worked fine on my third try. 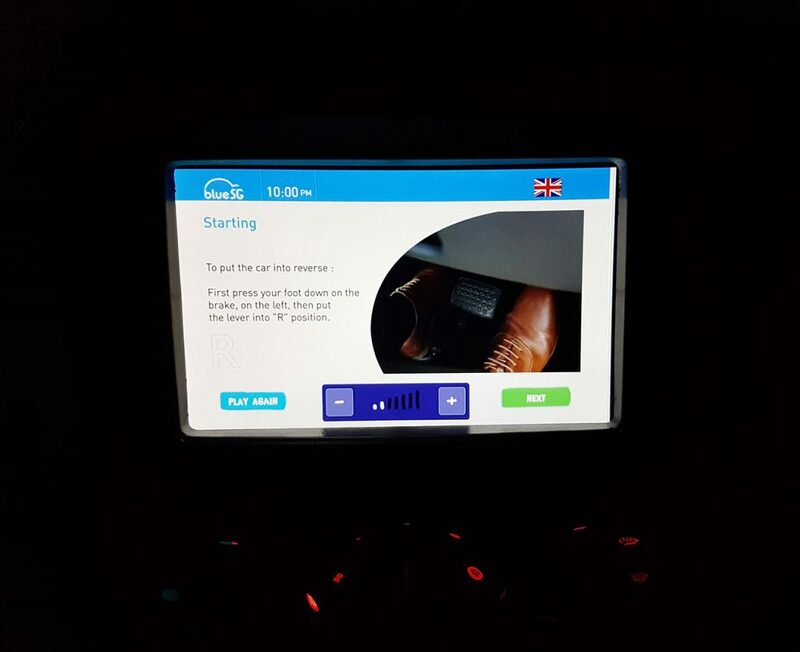 A little tutorial displayed on the BlueSG's navigation screen reminds you how to operate a car, just in case you've forgotten the basics. 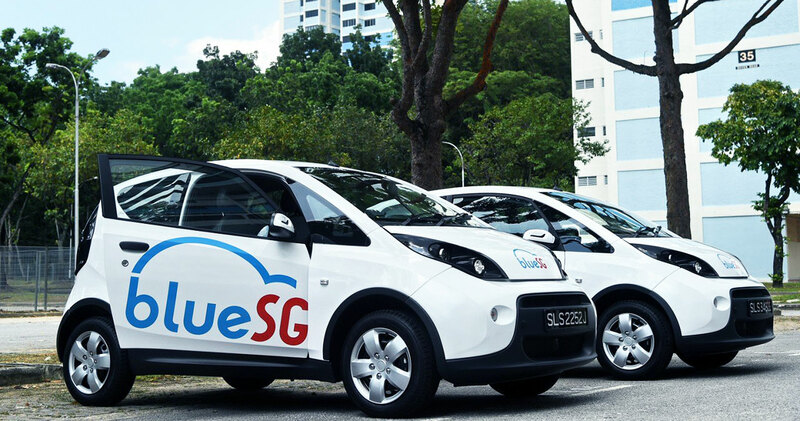 The electric car-sharing service’s sputtering start is only part of the bigger enigma surrounding the role of electric vehicles (EVs) in Singapore. Being a small, densely populated island city-state, the country seems perfect for a transport system run by EVs travelling short distances from point to point. 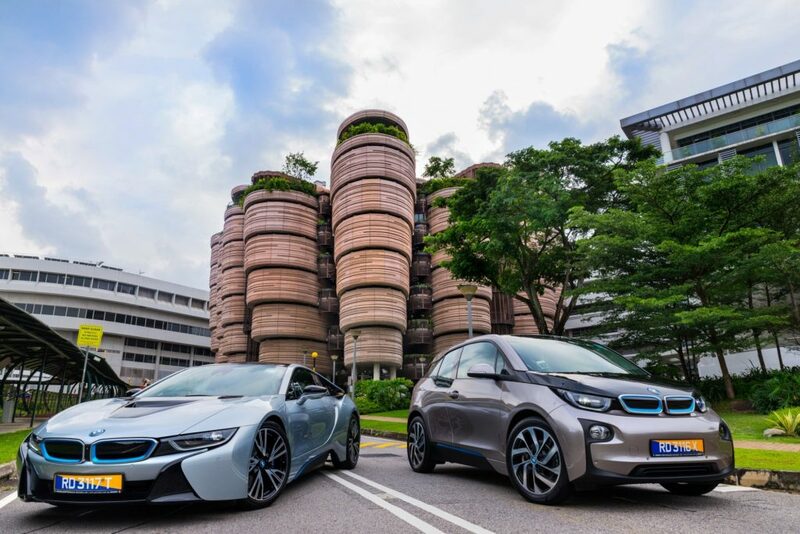 Furthermore, EVs would reinforce the clean and green sustainable living that Singapore champions. 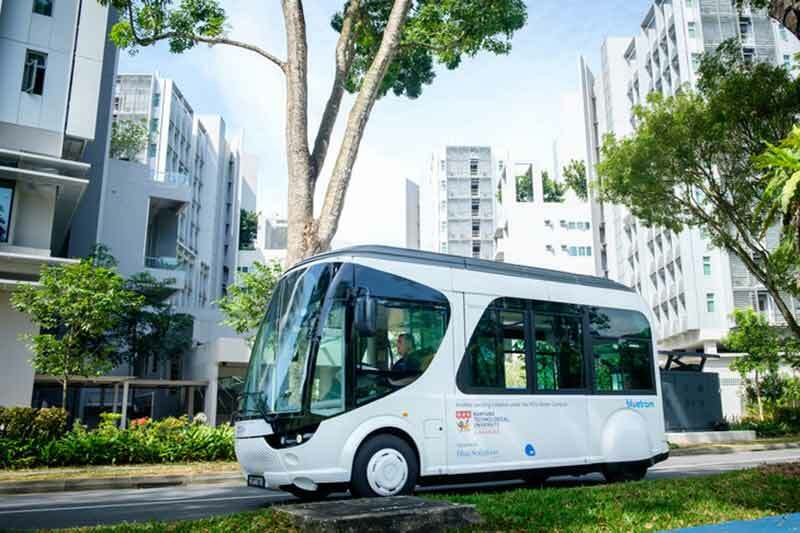 “Singapore’s size means that EVs only need to be charged at the end of the day, even when serving as taxis,” says Dr Pieter Fourie, senior researcher at Future Cities Laboratory, a collaboration between Swiss university ETH Zurich and Singapore’s National Research Foundation. He adds that Singapore has a big advantage with its electric grid that is small, efficient, and easily upgradeable to a smart grid with EVs serving as a storage system for wind and solar power. All this sounds like the makings of a smart nation. Yet it’s 2018, and according to figures from the Land Transport Authority (LTA), there were only slightly over 500 electric and plug-in hybrid cars in Singapore in 2017. 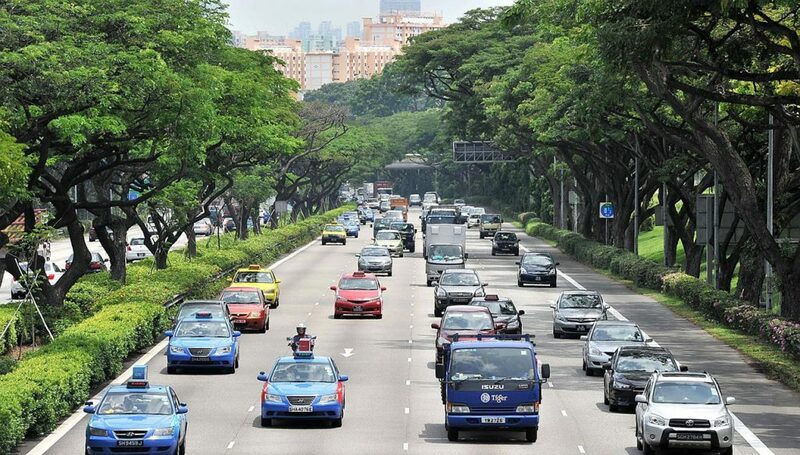 This figure jumped almost 500 per cent from the previous year, but the country still primarily depends on fossil fuels to power its transportation network – 93.8 per cent of cars registered in Singapore last year, or more than 574,000 vehicles, were powered by petrol. Unlike many countries where EVs have already become more than just a fashion statement but part of the national environmental movement, enthusiasm for the future of automobiles here has been pretty lacklustre. A small BMW i3, for instance, costs around S$200,000, putting it in the same price range as a 4 Series coupe which is more spacious and powerful. I know which car I’d rather own. And at the moment, only private home owners have the freedom to charge their cars at home as no such stations are offered at HDB carparks. According to a 2014 study by Delft University in the Netherlands, assurance of access to charging stations was considered a better inducement for many people to buy EVs than a cash inducement of US$1,000. Carbon rebates to reward Singaporean owners of environmentally friendly cars are just not generous enough either. Electric cars qualify for a rebate of $10,000 or $20,000 under the Vehicular Emissions Scheme, down from a maximum of $30,000 last year and amounting to just 10 per cent of the price of the cheapest EV on the market. Worse still, the eligibility criteria still factors in the power grid emission into the evaluation of EVs’ carbon footprint. This makes Singapore the only country to consider EVs as polluters just because they depend on electricity generation, which uses fossil fuels, to recharge their batteries. The seemingly silly way of punishing rather than enticing EV owners cast the country in the most embarrassing spotlight a couple of years ago. 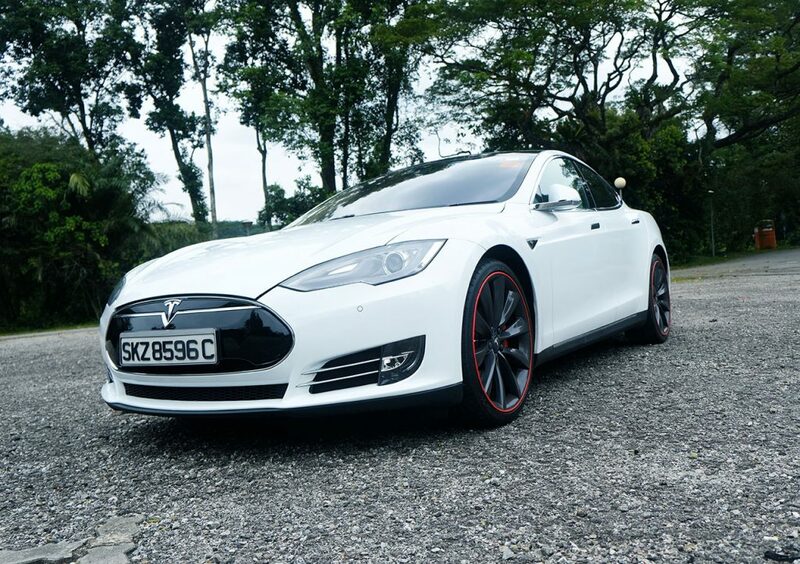 The first Tesla car to be imported into Singapore also became the first EV in the world to be slapped with a carbon tax, prompting the manufacturer’s CEO Elon Musk to make a personal phone call to Prime Minister Lee Hsien Loong. Then there’s the conundrum of how electric cars would fit into Singapore’s recently announced zero car growth to promote a car-lite society, which means fewer Certificates of Entitlement (COEs) available for bidding. An LTA spokesperson tells me that there is no conflict between this plan and the potential to increase the number of EVs on the road. But really, what zero car growth does is discourage car ownership through higher COEs in the long run, and more car owners would extend their current COEs instead of scrapping their cars to allow new ones to be registered. In short, it seems the government doesn’t want you to own a car, environmentally friendly or not, even if you want one and can afford to. LTA declined to answer my queries regarding this contradiction and the country’s vision to support EVs. Instead, it cites a 50 diesel-hybrid bus tender awarded to Volvo and ongoing trials with an electric taxi fleet as examples of progress being made in the area of green transportation. If ride-sharing and public transport are deemed the primary modes of transportation of the future, it would make a lot of sense for taxi and ride-sharing companies to convert their fleets to EVs, since they would be comprising a significant portion of the country’s car population assuming private car ownership falls. LTA and ComfortDelgro did not respond to my queries on all-electric taxi fleets, though a photo of a new Hyundai electric car painted in the Comfort colours was posted on Facebook by a user last month. And if the government truly aims to transform the country’s roads into a greener network, perhaps it should take a leaf out of Hong Kong’s playbook. In a bid to ease its grave pollution problem caused by congested roads, the city-state has been dishing out hefty tax rebates for EVs since 2010. 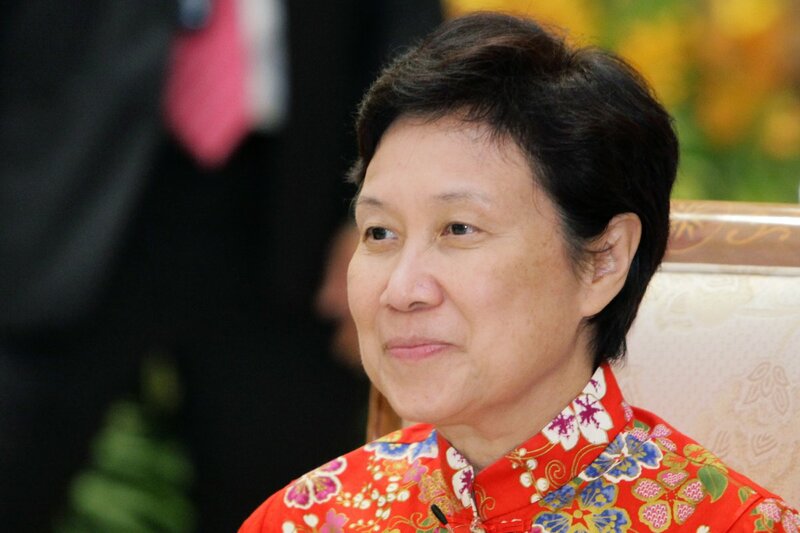 While the 100 per cent registration tax waiver was significantly cut last year, the government also introduced a new incentive last month granting car owners a waiver of up to HK$250,000 (S$42,000) if they traded in an eligible gas-guzzler for an EV. That is one big fat juicy carrot that can entice Singaporean car owners to make the switch, while also preventing COE prices from skyrocketing. So for all its grand ideas of becoming a smart nation, Singapore seems to be dragging its gears off the starting line when it comes to transforming its roads, and that has fuelled criticism from sceptics. 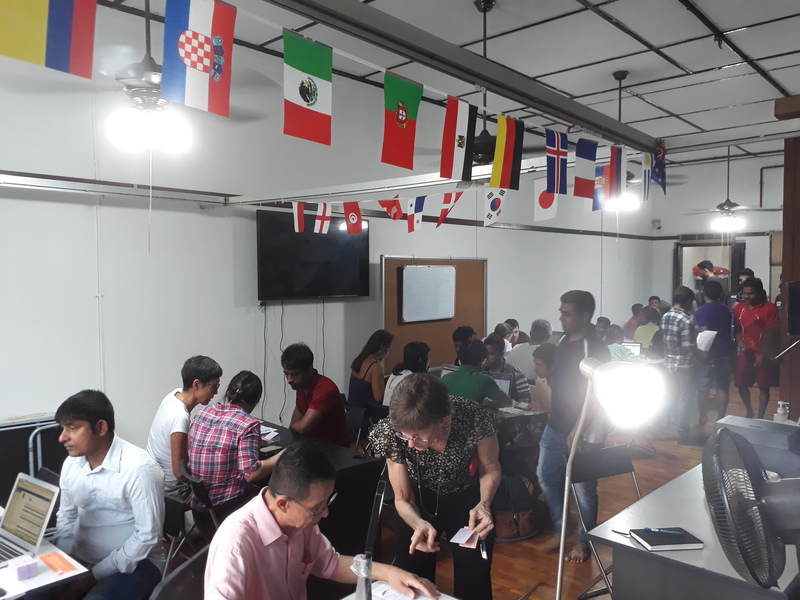 Perhaps, the country, being joined at the hip with the fossil fuel industry as the major oil hub in Asia, is in an extremely difficult position to jump onto the EV bandwagon. “Or maybe the LTA has not yet figured out how to maximise revenue generation from the complicated nature of EV taxation,” says Joe Nguyen, the owner of the infamous carbon-taxed Tesla. The vice-president of an analytics firm adds that while the country has always prided itself in looking at the long haul of 50 years and longer when it comes to policy planning, that same vision cannot be applied to areas such as transportation because technology is simply advancing too rapidly. However, the fast-changing nature of technology risks obsoleting itself too, and “that’s why many drivers in the US prefer to lease an EV than buy one”, says associate professor Park Byung Joon of the Singapore University of Social Sciences’ School of Business. Experts also disagree that Singapore is lagging behind, nor should it rush into embracing the EV industry. Behold, the world's first electric car to be hit with a carbon tax. Furthermore, countries in the region that have a head start in adopting EVs have vested interests in the industry. “China, South Korea and Taiwan are big players in the EV market because they manufacture batteries and other EV components, so they stand to gain a lot economically by pushing EVs into the market. Singapore has no such industry, and I don’t see how it can gain from encouraging EV sales other than environmental benefits,” says Prof Park. This outlook certainly puts a dampener on the aspirations of car owners and enthusiasts hoping to get behind the wheel of the latest technology and reap its benefits. If Singapore continues to adopt a wait-and-see approach and makes little progress with the development of EV infrastructure, then there’s also little point to more manufacturers bringing in EV models this year onwards. Still, that’s not stopping Joe from placing a pre-order for Tesla’s latest car, the Model 3, which is slated to arrive earliest next year. “EVs are the way forward, period. Look, I spend $80 a month to charge my Tesla, when I previously spent three times that amount on petrol. And I don’t have to keep worrying that car parts will break down because there are very few of them underneath to begin with. The benefits of driving an EV are huge,” he says while we ride in his car, which he imported second-hand from Hong Kong. 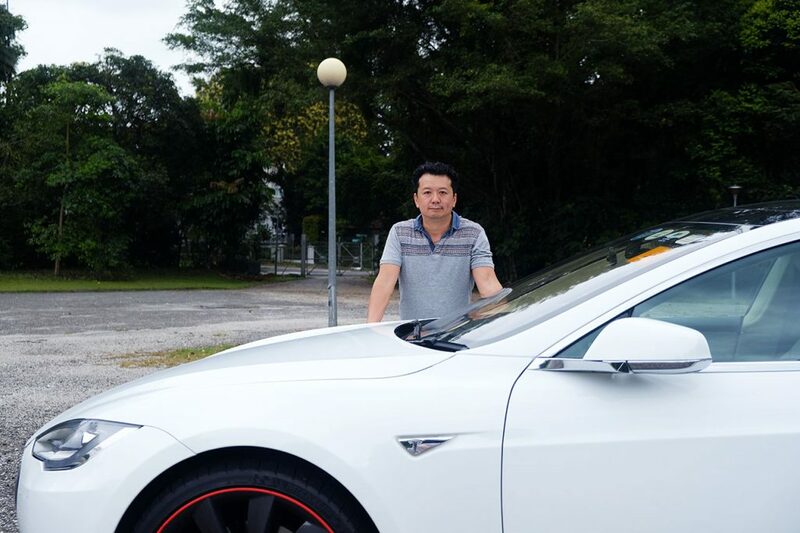 Since the controversy surrounding the carbon tax that his Tesla received, Joe Nguyen is now one of strongest proponents for the adoption of electric cars in Singapore and has pre-ordered the latest Model 3. I wonder if he’s exaggerating, especially when his car looks like a Toyota Camry. But when the green light turns on, what ensues is something that I have never experienced in any other vehicle I’ve ridden. The acceleration from zero is instantaneous. Brutally fast in fact – my head snaps back against the headrest as the g-force strains my neck muscles. I really could have died. This must be what starting a Formula 1 race feels like. I estimate we hit 50 km/h in a second. Even with that blazing speed, the Tesla is still terrifyingly quiet. It feels as though we are rocketing through the vacuum of space, with just a little whir of an electric motor that reminds me of a Tamiya battery-powered toy car. In that two seconds of hurtling down the road at breakneck speed, I caught a glimpse of the future. 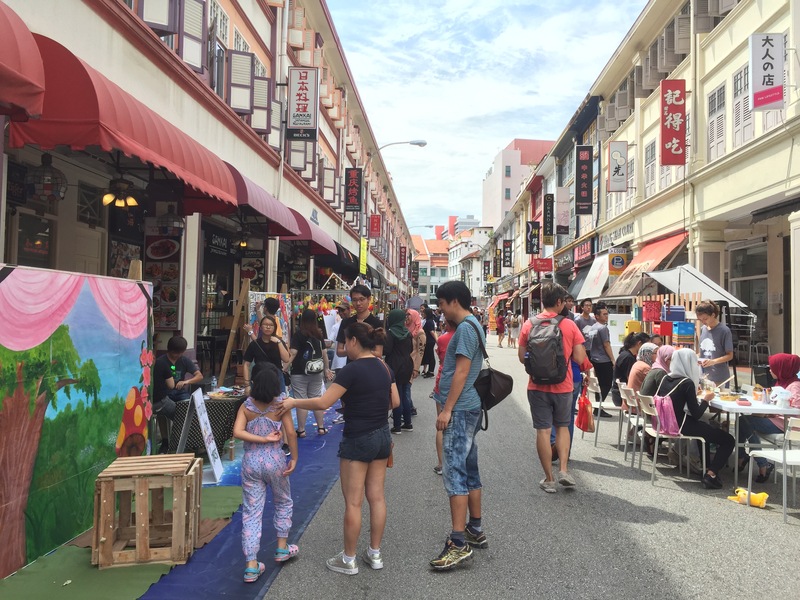 But as long as contradictions in Singapore’s policies and vision continue to pose roadblocks, then that future envisioned by Elon Musk – the one where EVs and autonomous vehicles roam the streets – will remain a fantasy.